Houston, TX – Post Malone has responded to the photograph that appears to show that he choked Justin Bieber. if we was fighting someone would have done something instead of just sit around while the beibs gets chokeslammed??? end of story i love jus more than life ? and THE MIXTAPE IS ON THE PRECIPICE OF RELEASE. God bless my fans ? A photo of Post Malone choking Justin Bieber has been posted on the Instagram page of theshaderoominc. The flick was seemingly taken at a Post Malone performance at club Che in Houston, according to VladTV. A TMZ video shows Malone performing his “White Iverson” song and Bieber apparently putting his lit cigarette on Malone’s arm. Check the video and the Instagram post below. 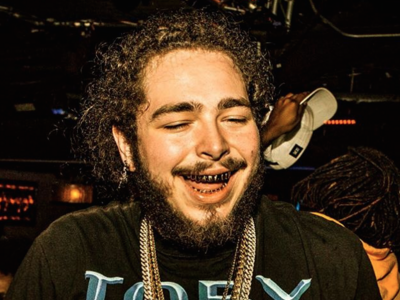 Looks like #PostMalone wasn't here for #JustinBieber using his arm as an ashtray! ?